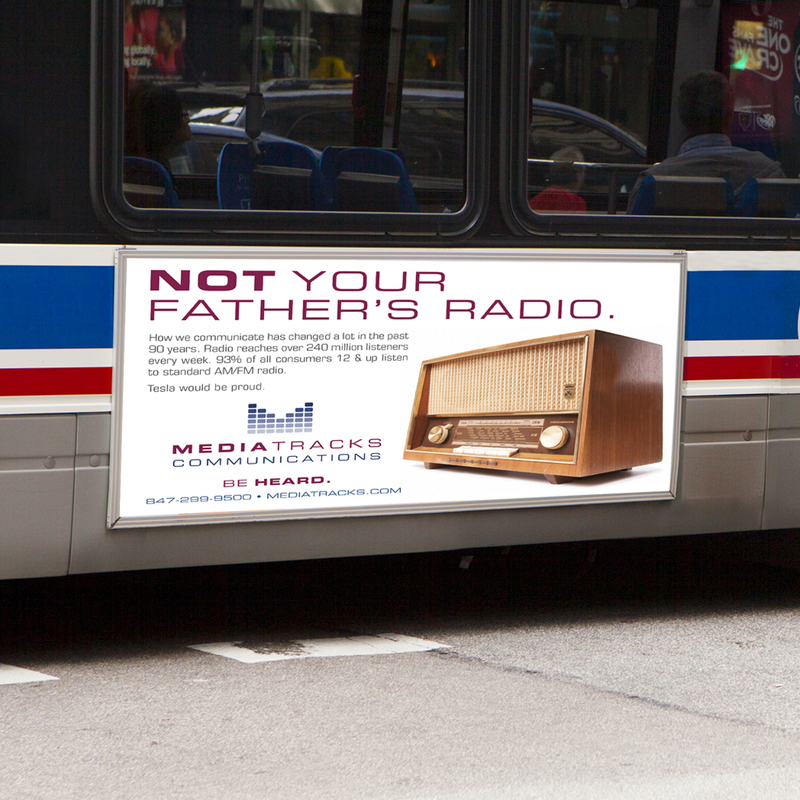 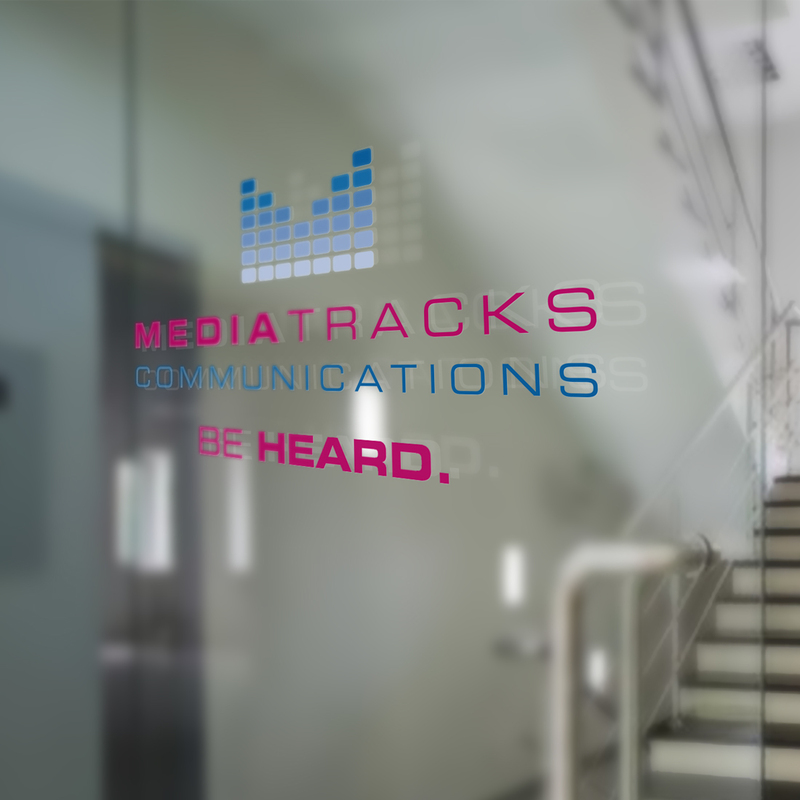 Chicago’s MediaTracks Communications is one of the country’s foremost providers of radio services for the public relations sector, committed to developing and broadcasting the highest quality audio programming. 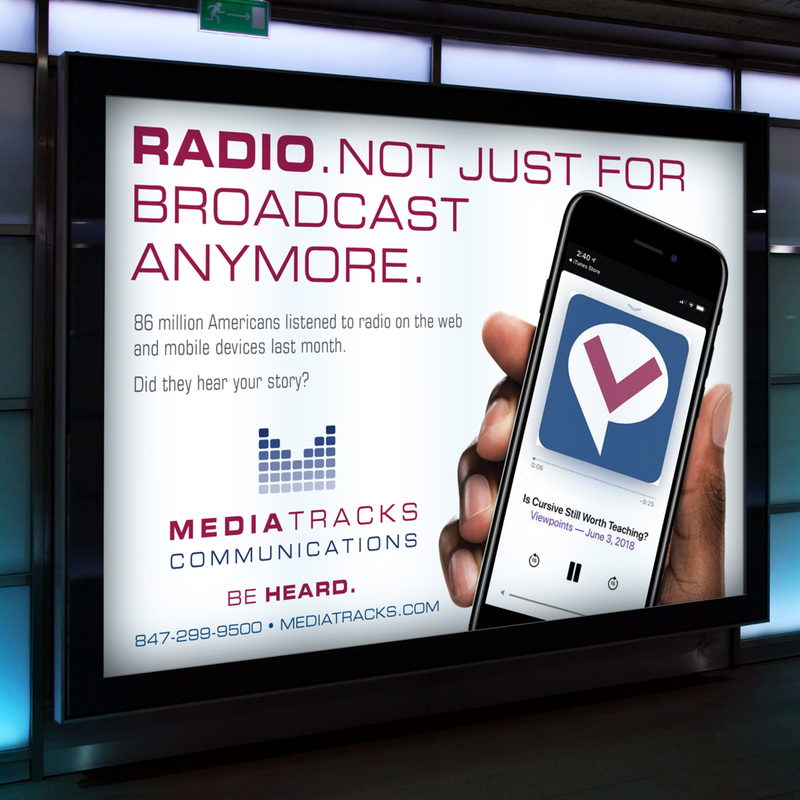 They also produce and syndicate America’s most widely heard public affairs programming on the radio. 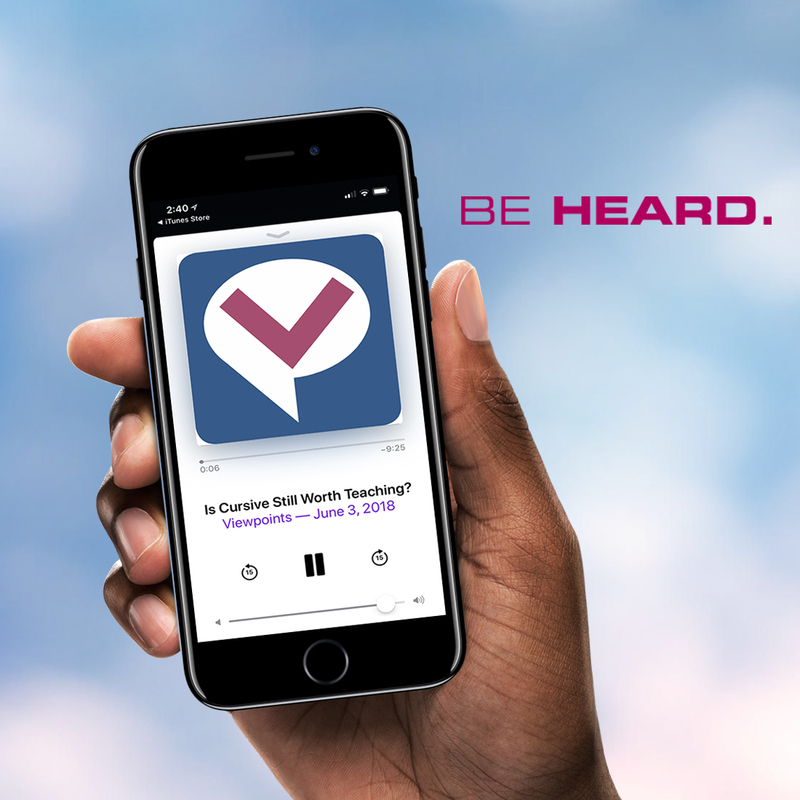 Over 6 million faithful listeners tune in weekly to hear their two premiere programs, “Radio Health Journal” and “Viewpoints Radio”, airing on more than 800 stations across the county in over 200 markets. 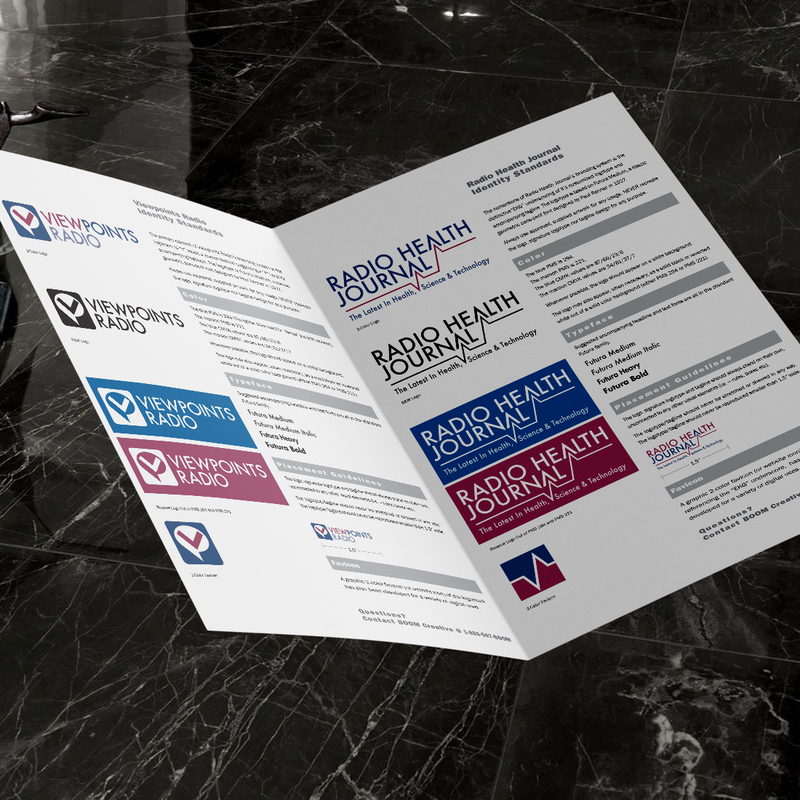 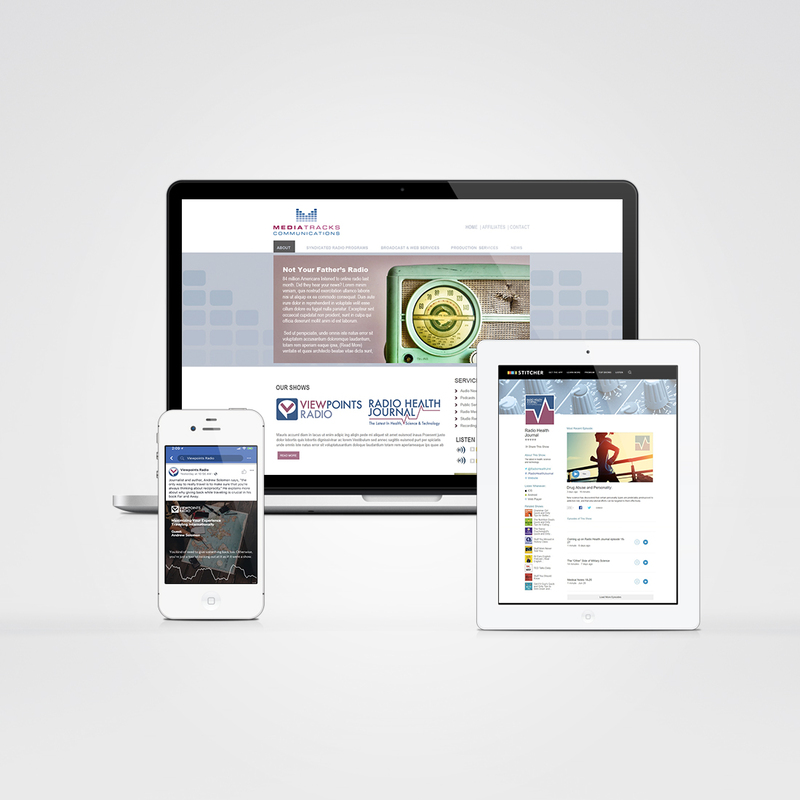 When applied together for print, web and social media promotions, the logos form a multifaceted yet highly cohesive brand hierarchy, communicating a message of intelligence, wit and authority.